Chess is a strategic board game played by millions of people worldwide. The earliest origins of chess are debated and uncertain, however the game can be traced back to the 6th century. The most commonly held view is that chess originated in India as a game called Chaturanga. Regardless of the game’s origins, the benefits of chess are less debatable. There are several studies about chess and its implications on childhood education. 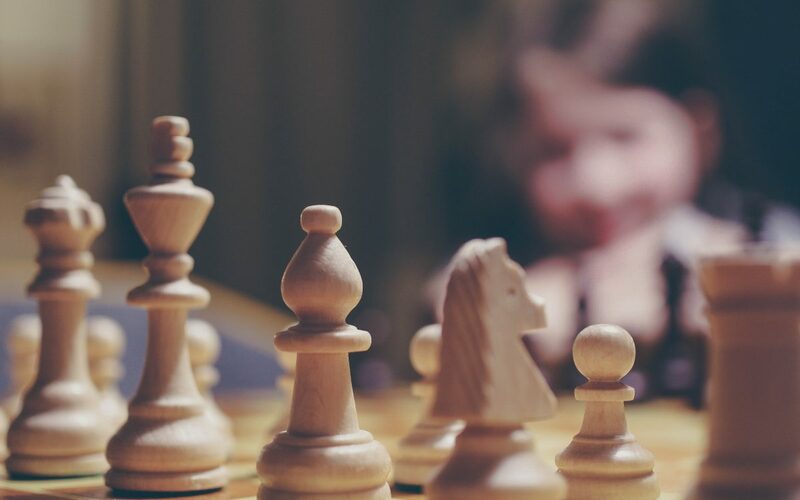 In those studies the main conclusions are that chess promotes academic performance, especially problem solving strategies, increases memory, concentration, scores in IQ tests, critical thinking, and develops visual and spatial abilities and the capacity to identify patterns. Research shows that chess improves a child’s visual memory, attention span, and spatial-reasoning ability. Visual memory is the ability to remember or recall information such as activities, pictures or words that have been viewed in the past. Skill in visual memory can assist with the recognition of letters/numbers, reading comprehension and spelling. Spatial ability is the capacity to understand and remember the spatial relations among objects. According to research, spatial ability is also important for success in many fields of study. Mathematics, natural sciences, and engineering all involve the use of spatial skills: For example, an astronomer must visualize the structure of a solar system and the motions of the objects in it; an engineer visualizes the interactions of the parts of a machine. Laser Chess is a two-player strategy game that combines the spatial thinking skills of chess with the high-tech fun of laser beams. Players alternate turns moving their mirrored pieces around the board, and at the end of each turn, players fire a real laser beam from their Laser. The laser beam bounces from mirror to mirror, and if the beam strikes a non-mirrored surface of any piece, it is immediately removed from play. If you illuminate your opponent’s King – You Win. No Stress Chess is a game that will help you learn Chess. The special game board guides you to set up your pieces and each card in the innovative deck shows you how to move the piece it pictures. You just set the pieces on the board, shuffle the deck, and begin to play. No Stress Chess teaches players the moves of all the Chess pieces. The game is played on a regulation Chess board, but doesn’t require the movement knowledge or planning of Standard Chess. No Stress Chess can be played at several levels of difficulty, gradually introducing players to Standard Chess in incremental steps. When you’re ready, just flip the board to its Standard Chess board side and play. Chess Junior is the kid-friendly version of the classic Chess board game. It was developed in order to help adults teach kids the first steps of how to play chess in a fun and relaxed way. By playing the 12 mini-games step by step, the junior players learn basic chess rules, tactics and strategies in a relatively short amount of time. This chess board comes with Staunton style pieces and is the perfect size board for beginners and experienced players. A chess quick start guide comes with each set for those new to the game. Board interior includes felt straps for securing your pieces, and the hinges lay flat with the board to avoid scratching playing surfaces. For those who are experts, enjoy the game of Chess, and are looking to invest into a high quality chess set that will last for years: The Library Grandmaster Chess Set, Box, and Board Combination – Golden Rosewood and Boxwood. This product is from the House of Staunton. The Chess pieces are hand carved by master artisans and crafted out of the highest grade woods. The Chess pieces are heavily weighted with luxurious billiard cloth base pads and a beautiful finish. 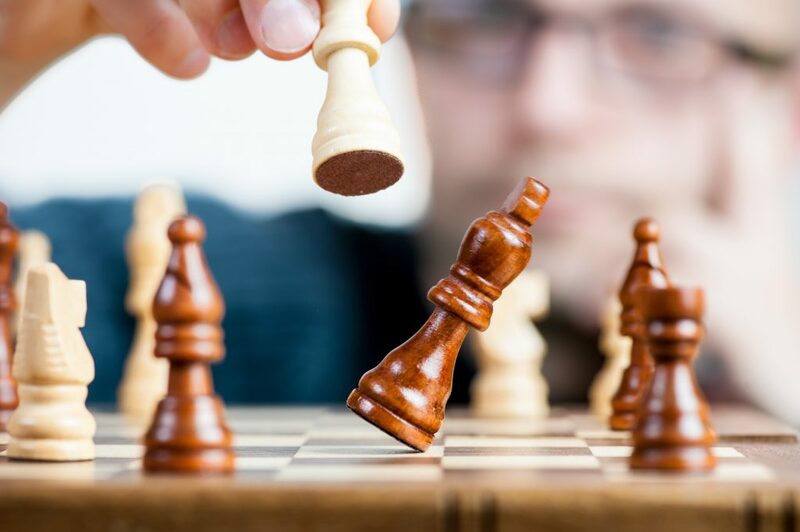 Impress someone by learning how to achieve Checkmate in 4 moves (also known as the Scholar’s mate).